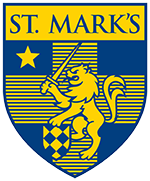 The Marksmen is the annual student-produced yearbook for St. Mark's School of Texas. The yearbook is widely regarded as one of the best in the nation. In recent years, issues of The Marksmen have been honored by the Columbia Scholastic Press Association, the Printing Industries of America, and the National Scholastic Press Association.